Should marijuana use matter in child welfare cases? Massachusetts child welfare officials are warning that a provision buried deep in the ballot measure to legalize marijuana could effectively tie the hands of social workers entrusted with protecting the state’s most vulnerable children. The little-noticed provision states that parents’ marijuana use, possession, and cultivation can’t be the primary basis for taking away custody — or other parental rights like visitation — unless there is “clear, convincing and articulable evidence that the person’s actions related to marijuana have created an unreasonable danger to the safety” of a child. It would become law on Dec. 15 if voters greenlight Question 4. Similar language is included in legalization measures in three of the four other states voting on such referendums next month, proponents say. It’s meant to protect parents’ legal use of marijuana just like their legal use of alcohol, they say. People who smoke a joint to relax instead of drinking a glass of wine shouldn’t fear they’ll get stung by a judge in a custody dispute, or risk having their children put into foster care, they argue. But in a statement, the Department of Children and Families said it “believes every case is unique and our social workers need the ability to consider every factor when making critically important decisions about a child’s well-being. “Restrictions that could limit a social worker’s ability to consider any substances, including marijuana, as a factor for child custody are troubling, especially given the unprecedented spike in DCF cases fueled by the opioid epidemic,” the statement, from spokeswoman Andrea Grossman, said. 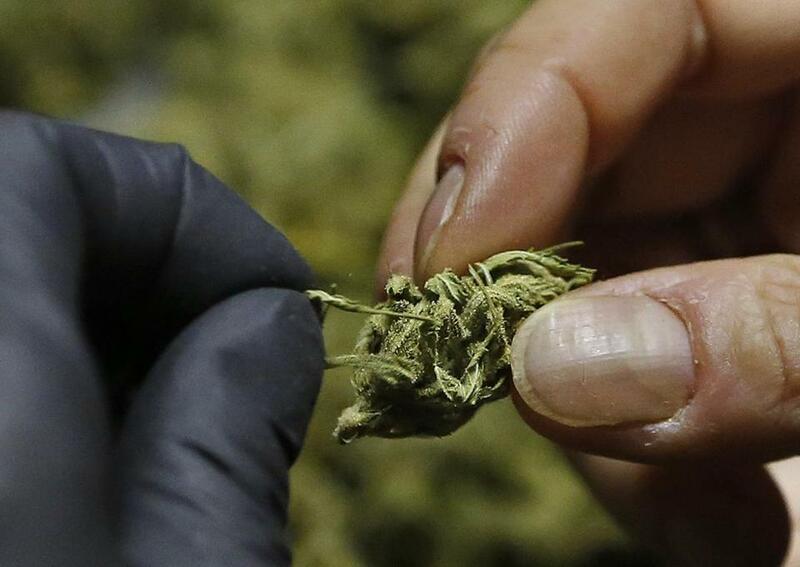 Massachusetts voters approved legalizing marijuana for recreational use on Nov. 8. DCF is overseen by Governor Charlie Baker, who opposes legalization. 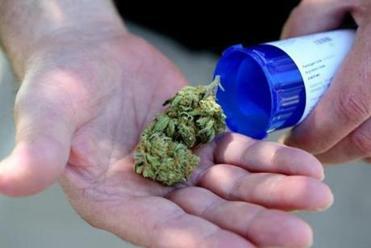 Some outside specialists say the provision could make it harder to support an allegation of abuse or neglect when the parent has been using marijuana, as compared with alcohol. That’s because there is no comparable language in state law about alcohol. The 98 words in question are included in a more than 8,000-word ballot initiative, which was written by supporters of the pro-marijuana YES on 4 campaign. Colorado’s legalization measure did not have such language, and Laura Morsch-Babu, a spokeswoman for the Colorado Department of Human Services, said the criteria that dictate an intervention from child welfare personnel in the state remain the same. Oregon, one of the other legalization states, did not change its laws regarding child abuse and neglect, either — and child welfare workers treat the use of marijuana the same as any other legal intoxicant, according to Department of Human Services spokesman Gene Evans. Under Massachusetts law, reports of child abuse or neglect are investigated by DCF. Social workers evaluate the child’s household, including the parents and home environment, and make a determination about safety and whether the suspected child abuse or neglect is substantiated. Massachusetts courts’ view of parental substance use — whether legal alcohol or illegal drugs — has been broad, rather than specific. To act, taking away a child for example, requires a connection between the substance use and parenting capacity. A judge must find “current parental unfitness.” So occasional recreational use alone may not be seen as a critical safety issue that prompts action. Elizabeth Bartholet, a Harvard Law School professor, said she believes the section of the proposed law is comparable to the current standard in child welfare and she said she has no concerns about it. If the measure passes, lawmakers could tinker with it. Indeed, top legislative officials have already floated the general idea of making changes. Michael Cutler, a Northampton lawyer who helped write the ballot question, said the measure is necessary because there is scourge in the state of “canna-bigotry,” a portmanteau of cannabis and bigotry. The measure, he said, would level the playing field as people get more used to seeing marijuana and alcohol as equally valid ways for adults to relax. He said the measure is meant to protect parents in both DCF proceedings and in family court. Some outside specialists sung the praises of the language hidden in the referendum. Question 4 would legalize the purchase, possession, and use of 1 ounce or less of marijuana for adults 21 and older on Dec. 15. Recreational stores could open in 2018.